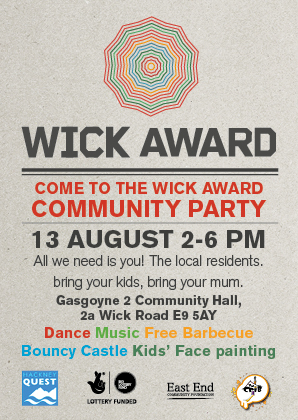 Come to the Wick Award Community Party! UPDATE:: Bass Stations to roll up and spin out at the Nike ‘Own the Cage’ Final Tournament in Wembley! For over a year, The British DJ & MC Academy have provided musical entertainment and a live PA set up for the Nike Powerleague 5-a-side football tournaments through out the UK. The tournament entitled ‘Own the Cage’ champions young footballing talent (and tekkers!) by challenging youth teams, the likes of Manchester United, Tottenham Hotspurs, QPR, Millwall to name but a few in competing in five-a-side football. These determined and aspiring footballers have an incredible opportunity to take their game up a level when they play the final at the new Wembley Powerleague Site, unbelievably located in the shadow of the citadel of English football – Wembley Stadium. The tournament will take place on Sunday 8th May between 5 and 8pm. The British DJ & MC Academy are pleased to announce that we will be supporting the Nike Powerleague Tournament by bringing down, not just one, but two Bass Stations, accompanied by DJ TRICKLES & LADY MC! These eye-catching mobile DJ units will be playing out fresh tracks and vibrant beats to pump the players and the crowds full of morale and motivation. As a bonus, the British DJ & MC Academy has teamed up in corporation with Nike to create a unique, one off Nike DJ & MC Academy T-Shirt which we will be giving away for FREE, so come down and grab yours while stock lasts! This is a free event and anyone can attend, so if you love music and live for football it will be a great fun-filled day out for you, your friends and family.